Here is the final trailer from Universal Pictures’ upcoming film Endless Love. The film is directed by Shana Feste, starring Alex Pettyfer, Gabriella Wilde, Robert Patrick, Bruce Greenwood, Rhys Wakefield, Dayo Okeniyi, Emma Rigby, Joely Richardson. Endless Love will release in theaters on February 14, 2014. Here is the trailer from Universal Pictures’ upcoming film Endless Love. The film is directed by Shana Feste, starring Alex Pettyfer, Gabriella Wilde, Robert Patrick, Bruce Greenwood, Rhys Wakefield, Dayo Okeniyi, Emma Rigby, Joely Richardson. Here is the latest poster from Lionsgate’s film THE HUNGER GAMES. The movie is directed by Gary Ross starring Jennifer Lawrence, Josh Hutcherson, Liam Hemsworth, Wes Bentley, Elizabeth Banks, Dayo Okeniyi, Amandla Stenberg, Jack Quaid, Leven Rambin, Willow Shields, Paula Malcomson, Ian Nelson, Kalia Prescott, Ethan Jamieson, Tara Macken, Chris Mark, Jacqueline Emerson, Ashton Moio, Kara Petersen, Sam Ly, Leigha Hancock, Samuel Tan, Mackenzie Lintz, Imanol Yepez-Frias, Annie Thurman, Stanley Tucci, Woody Harrelson, Latarsha Rose, Brooke Bundy, Lenny Kravitz, Toby Jones, Amber Chaney, Kimiko Gelman, Nelson Ascencio and Donald Sutherland. Every year in the ruins of what was once North America, the evil Capitol of the nation of Panem forces each of its twelve districts to send a teenage boy and girl to compete in the Hunger Games. A twisted punishment for a past uprising and an ongoing government intimidation tactic, The Hunger Games are a nationally televised event in which Tributes? must fight with one another until one survivor remains. 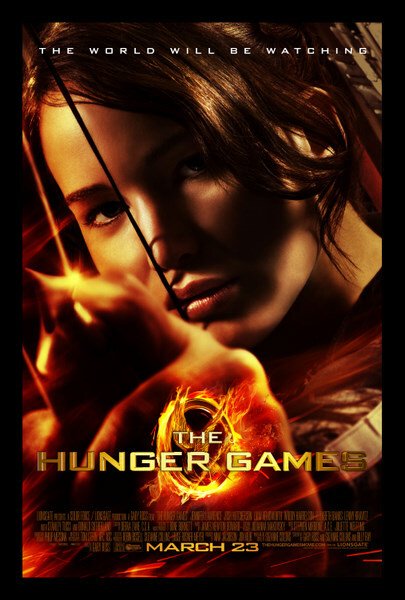 Lionsgate will release “The Hunger Games” on March 23, 2012. Here is the new poster from Lionsgate’s film THE HUNGER GAMES. The movie is directed by Gary Ross starring Jennifer Lawrence, Josh Hutcherson, Liam Hemsworth, Wes Bentley, Elizabeth Banks, Dayo Okeniyi, Amandla Stenberg, Jack Quaid, Leven Rambin, Willow Shields, Paula Malcomson, Ian Nelson, Kalia Prescott, Ethan Jamieson, Tara Macken, Chris Mark, Jacqueline Emerson, Ashton Moio, Kara Petersen, Sam Ly, Leigha Hancock, Samuel Tan, Mackenzie Lintz, Imanol Yepez-Frias, Annie Thurman, Stanley Tucci, Woody Harrelson, Latarsha Rose, Brooke Bundy, Lenny Kravitz, Toby Jones, Amber Chaney, Kimiko Gelman, Nelson Ascencio and Donald Sutherland. 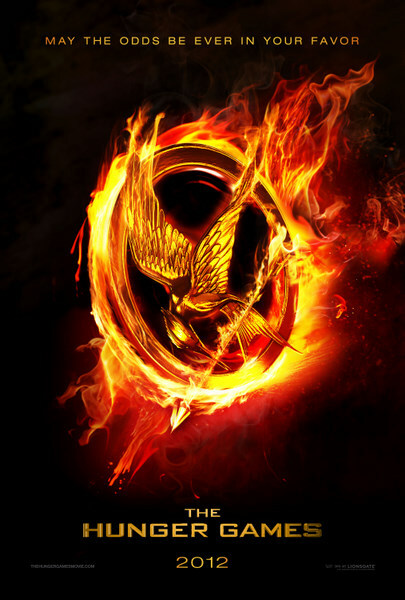 Here is the teaser poster from Lionsgate’s film THE HUNGER GAMES. The movie is directed by Gary Ross starring Jennifer Lawrence, Josh Hutcherson, Liam Hemsworth, Wes Bentley, Elizabeth Banks, Dayo Okeniyi, Amandla Stenberg, Jack Quaid, Leven Rambin, Willow Shields, Paula Malcomson, Ian Nelson, Kalia Prescott, Ethan Jamieson, Tara Macken, Chris Mark, Jacqueline Emerson, Ashton Moio, Kara Petersen, Sam Ly, Leigha Hancock, Samuel Tan, Mackenzie Lintz, Imanol Yepez-Frias, Annie Thurman, Stanley Tucci, Woody Harrelson, Latarsha Rose, Brooke Bundy, Lenny Kravitz, Toby Jones, Amber Chaney, Kimiko Gelman, Nelson Ascencio and Donald Sutherland. The Hunger Games is a worldwide fan phenomenon, the novel having been on the New York Times best seller list for over 130 consecutive weeks. 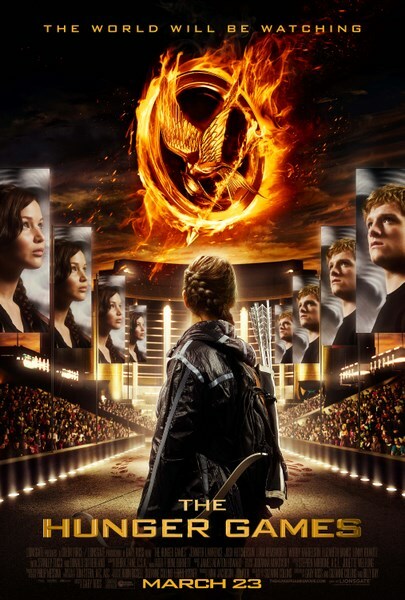 The film chronicles Katniss Everdeen’s defiant struggle to survive in a future dystopia where The Capitol requires its twelve subjugated districts to atone for their onetime insurrection through the annual “Hunger Games,” a fight-to-the-death event held in a fantastical man made arena. Although persevering through extreme hardship is commonplace for the audacious heroine, she is forced to make choices that weigh survival against humanity and life against love in order to win the games and return home to District 12.